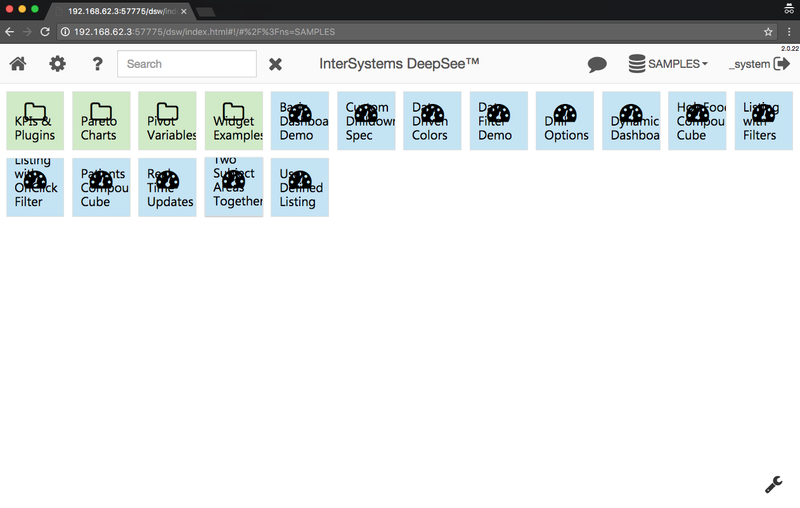 In my previous article, I gave an example of how to get the own image with InterSystems Caché. Now it's time to launch a project with container. To launch a Caché project in a container we will use an image from the previous article as a source for the new one. But before it can be used, it must be published publicly or privately in the repository. In our company, we use GitLab as a storage for sources for all of our projects. And it can be used as a registry for Docker images as well. We must have authorization to push our image to any registry. To authorize on a default registry, use this command. Or with an address of the registry, which will be used as a storage for an image. Authorization is also needed to fetch images from the registry on another server (e.g. if they are not public). Build the image from the previous article with a new name, which could include registry server name, if it is not hub.docker.com, used by default. Followed by name of user or organization, and name of the particular image with version. docker build -t daimor/ensemble:2016.2 . As you may already know, the release of new Ensemble version 2017.1 was announced since the previous article was published. Here is the command to build with version 2017.1 container. docker build -t daimor/ensemble:2017.1 --build-arg WRC_USERNAME=****** --build-arg WRC_PASSWORD=****** --build-arg cache=ensemble-2017.1.0.792.0 -f Dockerfile.WRC . Push our image to the registry after build. Version 2017.1 will make as a latest as well. Now it's time to install an application that will live in our Caché container. Let's start with a fairly simple application to install - Caché WebTerminal. # Use our image with Ensemble as a source, we can particular version, or just latest, which will be used as well if omit version. |  csession $ISC_PACKAGE_INSTANCENAME -UUSER "##class(%SYSTEM.OBJ).Load(\"/tmp/webterminal/webterminal.xml\",\"cdk\")"
docker build -t terminal . It is also possible to get access to csession inside of our container. Thanks to @Nikita Savchenko who developed WebTerminal and made it so easy to install. Let's install another app which cals for a few more steps to be taken. Next I will install DeepSeeWeb which depends on another project MDX2JSON and which should be installed before DeepSeeWeb obviously. First we should prepare Installer Manifest. Installer, by the way, is quite simple: prepare namespace, load sources for both of projects, and launch its installers. docker build -t deepseeweb . 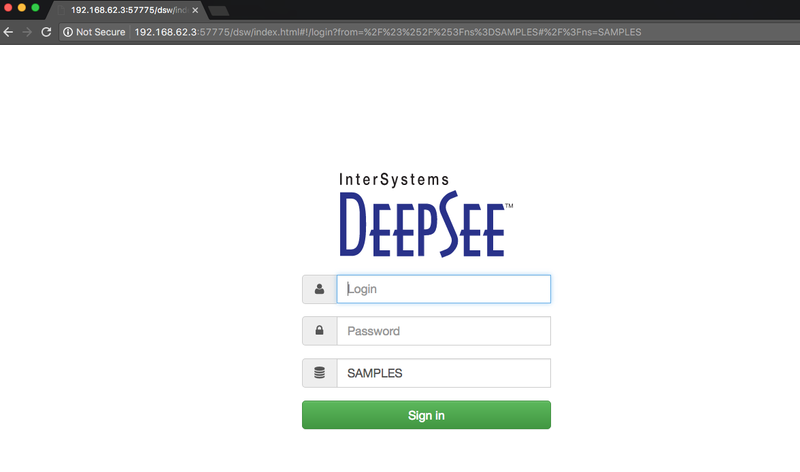 We are now ready to open Installed DeepSeeWeb. That's it. As a result we have the docker image which includes Web Terminal and DeepSee Web. Sources are available on github. @Dmitry: Thanks for sharing it. Good work and helpful to the community. In the dockerfile to add Web Terminal I had to combine the two RUN commands into one line to make it behave properly. The ccontrol start seemed to complete within the RUN command. |  csession $ISC_PACKAGE_INSTANCENAME -UUSER "##class(%SYSTEM.OBJ).Load(\"/tmp/webterminal/webterminal.xml\",\"cdk\")"
Sure, I forgot to fix to this first Dockerfile. This needed because Docker have some caching mechanism for layers. And when each command become as a different layer, in every next build, Docker tries to optimize this process, and skip all unchanged layers. So, 'ccontrol start' could be skipped and next commands fail after that. I fixed now in the article.